The team of Te Papa bird specialists is continuing to help at the wildlife recovery centre in Tauranga as both live and dead oiled birds continue to come ashore 3 weeks after the grounding of the M.V. Rena. 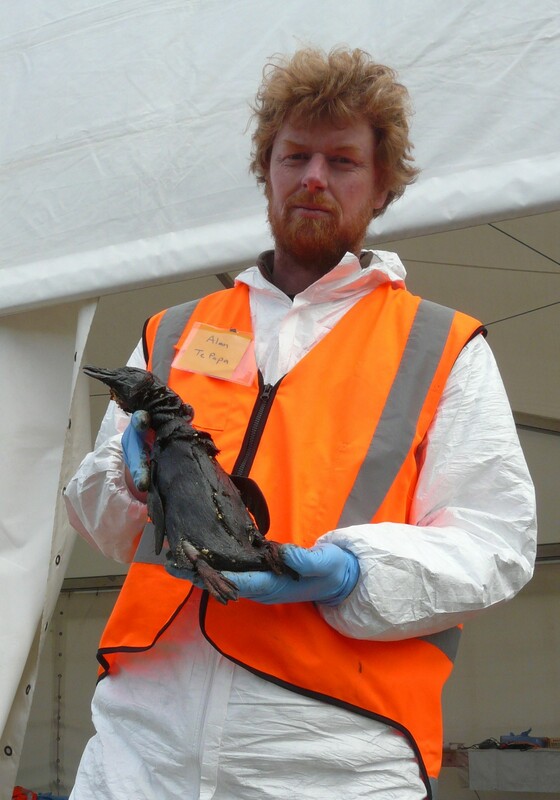 Our job is primarily to make sure that dead birds are correctly identified and, working with Massey University vets, to make an assessment about whether or not they are victims of the oil spill. The biggest surprise during the last week was finding a dead Chatham Island albatross – a rare species confined to nesting on a single island in the Chatham group. 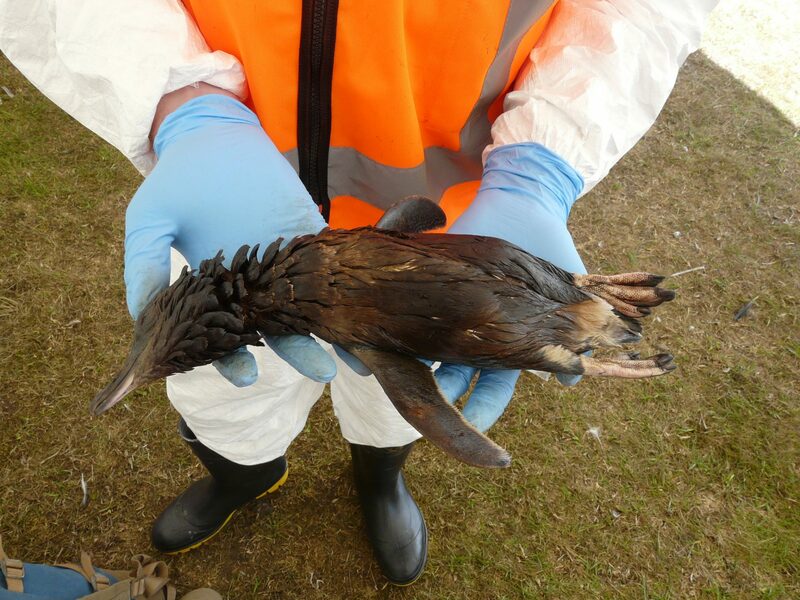 After careful examination, we determined that it was a breeding female but it was not oiled, so its death was probably a natural event unrelated to the grounding of the Rena. 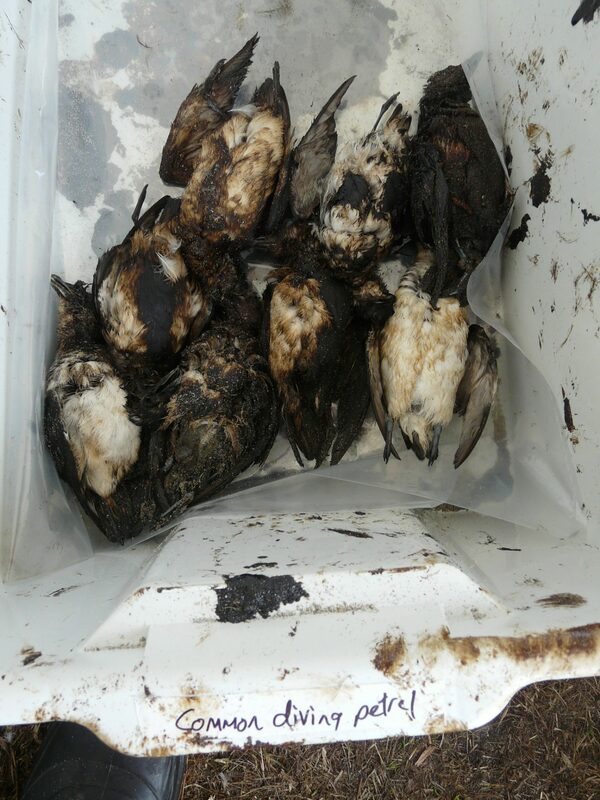 While more than a thousand dead birds were recovered in the first 2 weeks after the grounding, the number found during the last week has now, fortunately, dropped to about 20 per day. While nearly all the live oiled birds found have been little penguins, the most common dead birds (of the approximately 1,300 examined) continue to be petrels – in particular diving petrels, which make up about half of those found. 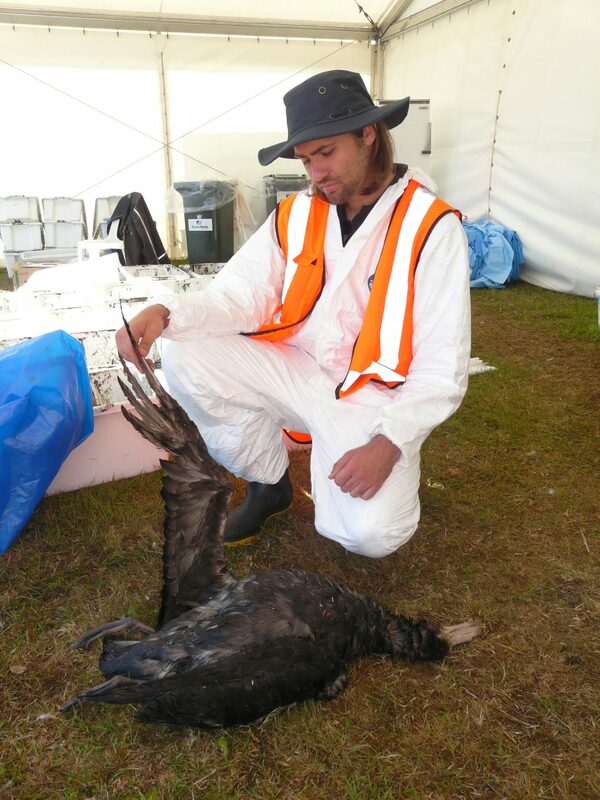 The next most common victims are two species that only breed in New Zealand: fluttering shearwater (about 20%) and Buller’s shearwater (about 10%). 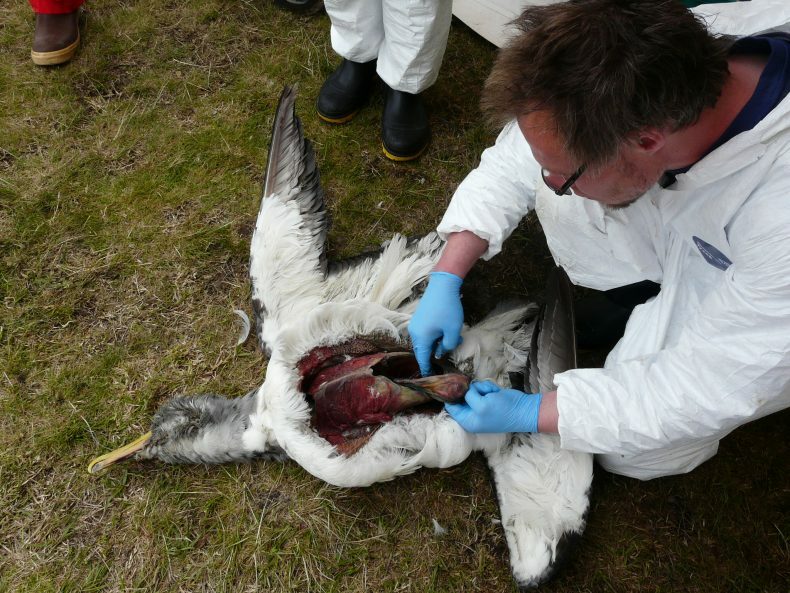 We also examined a dead northern giant petrel that had eaten a lot of milk powder, which we suspect caused its death. Giant petrels are the size of small albatrosses and are well known for their scavenging habits. Many of the containers onboard the Rena contain milk powder, so this may be another unexpected danger for birds resulting from the grounding. As salvors continue to battle to remove the remaining oil and stabilise the wrecked Rena, we don’t know how much more oil (and milk powder) is going to end up in the sea. It will be difficult to determine the impacts on seabird populations but the information that we are gathering will be a crucial part of this. RENA OIL SPILL- ANOTHER INJUSTICE REMAINS: To say that NOTHING more can be done to bring relief IS A LIE FROM HELL!! Watching and waiting for the Rena to break-up and drastically pollute our moana seabeds – is FAILURE of MARITIME NEW ZEALAND and FAILURE of National Party Governance whose campaign signs lie about a better FUTURE! Maritime NZ caused this era by their slack lazy governing of the wharfs, now they are overseeing its recovery??? Come on people WAKE UP & RISE UP!!! Get a second opinion! !I would like to see Maritime NZ reviewed for replacement and the END of party focused DICTATORSHIP for Aotearoa – get back to LOCAL Area Governance. PUKANA!!! !